MC205 is a 5 channel amplifier which is an incredible blend of power and flexibility, as it can deliver the explosive dynamics needed by the demanding high-performance home theater systems. 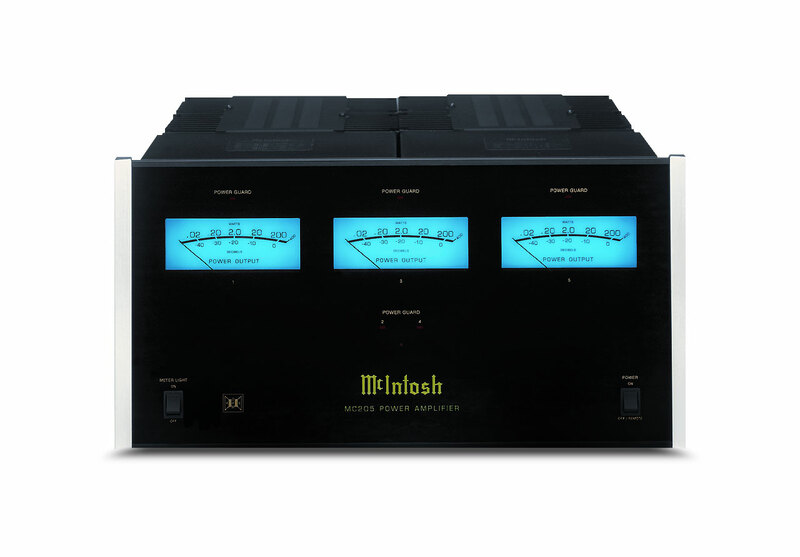 It uses Dynamic Power Manager (DPM), which is an exclusive McIntosh technology, to ensure top performance at 8 and 4 ohms. It enables the MC205 to deliver 200 watts per channel that too into a variety of loudspeakers. The McIntosh amplifiers are available either into 2 channel amplifier or 3, 4, 8 channel design and are smooth. They produce non-fatiguing sound, and this MC205 is no exception. Its distortion always remains below 0.005% throughout the entire 20-20,000 audio band. Its noise levels are vanishingly low, and has five balanced (XLR) input connections which help to prevent noise pickup while connecting cables from degrading amplifier's low noise advantages. The headphone amplifier by McIntosh is available at highest possible fidelity which can yield maximum music enjoyment. Its high performance, variable volume and balanced output run any power amplifier directly and may be used for private listening.